As a recent inductee into the web designer class, i am always on the look out for new tools, workflow hacks, and other ways to streamline by design and development cycles . I find that i want to find out the px dimensions of various user interface elements, buttons, and parts of websites that i visit all the time. 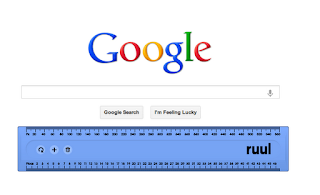 So i have been looking for a great ruler or grid measurement extension for chrome. 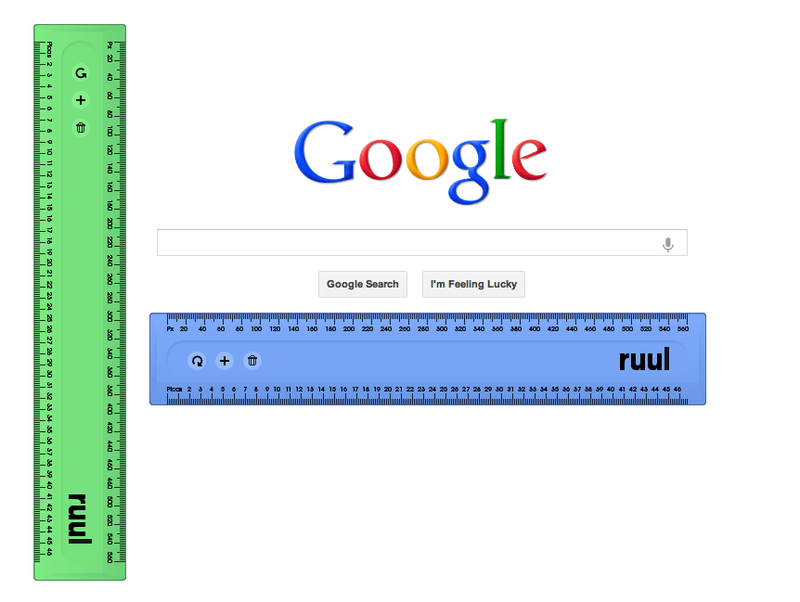 Today i finally found a chrome extension that is worth mentioning for this purpose (and i have tried at least 5 other ones in the past, and normally resort to skitch or the Mac OSX system screenshot tool Shift + Command + 4 ) . Check out Ruul. 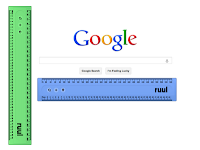 Ruul has a really beautiful way of giving web designers rulers for measuring pixels directly on pages. 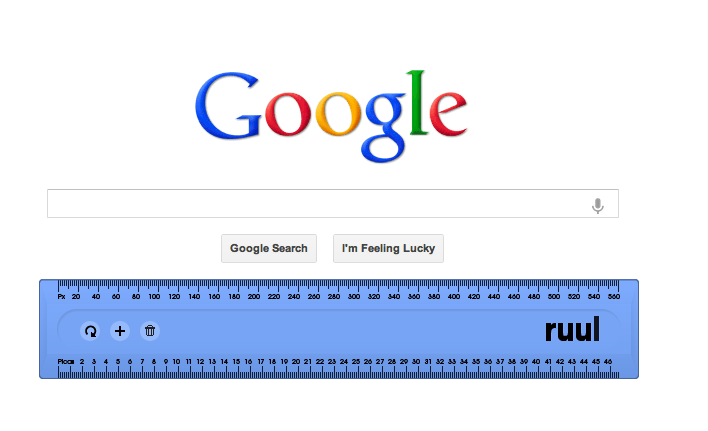 The reason the experience is beautiful is because Ruul gives the user a ui that looks like an actual ruler. It is super intuitive to use. 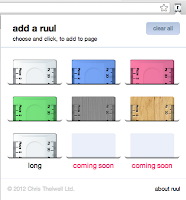 Just click the Ruul button.